If you’re considering purchasing a Lotus, talk to us. We are high-end car finance experts, and can put together a bespoke, flexible arrangement to suit your financial circumstances, your car, and your future needs.Our personal service means that we can take into account many more factors than a high street lender – for instance the car’s true residual value, other assets you may own or your business situation – and come up with a fast decision and a plan to suit you. We often offer lower payments than other lenders, and we can offer finance to clients who may be turned away by the computer-driven checklists of other companies. So contact us about finance, either before you start hunting for the perfect Lotus, or after you’ve decided on your dream car. Indianapolis 500, and his road cars set new standards for handling and driver feedback. And what’s more, many of the early Lotus cars have become much sought-after – one of the very earliest, the stripped-down purists’ delight Lotus Seven, is still in production today under the Caterham name, proving that the appeal of a no-frills sports-racer endures endlessly. Then there are the other Lotuses (Loti?) 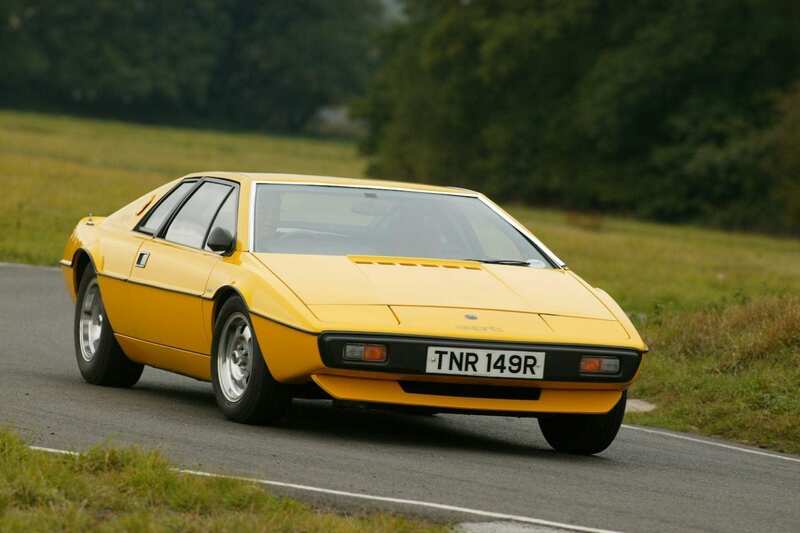 which became larger, more powerful and more civilised as the years went on, from the cute Elite to the pretty Elan, The striking Europa and on through a series of E-prefixed supercars like the Esprit, Éclat and Excel. There have been many collaborations with other marques too, from ‘60s super-saloon the Lotus Cortina to the beefy Lotus Carlton for Vauxhall/Opel; there was a collaboration with Toyota too, Sunbeam Talbot, Opel and even a record-breaking bicycle. Colin Chapman’s engineering mantra, borrowed from American engineer William Bushnell Stout, was ‘simplicate and add more lightness’. “Adding power makes you faster on the straights”, he said once, “but losing weight makes you faster everywhere.” This occasionally had unwanted side-effects – his techniques of making one component do multiple jobs and paring down every element to a bare minimum sometimes made his designs rather prone to failure compared to more sturdily-built rivals. 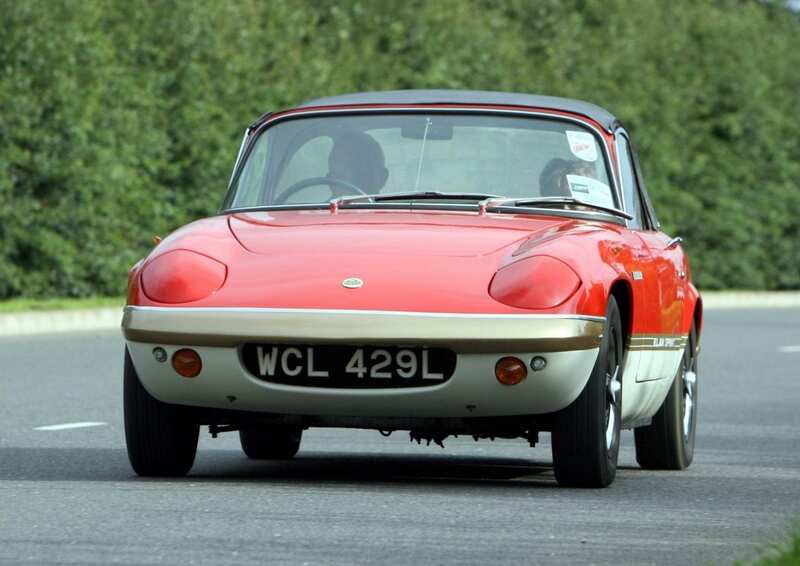 The enthusiast’s joke that Lotus stands for ‘Lots Of Trouble, Usually Serious’ is meant light-heartedly, but certainly contains a grain of truth. However, modern materials and uprated components mean that it’s now perfectly possible to run a well-fettled classic Lotus without a gold card breakdown membership. Though he died in 1982, Chapman’s legacy very much lives on in the modern Lotus company. The engineering side is highly respected across the world and works for a variety of clients on all kinds of complex leading-edge projects. The car division, meanwhile, produces the Elise roadster and Exige coupé, the Evora supercar and the incredibly fast and single-minded track-only Exos. All share the Chapman DNA – they’re light, often with much use of exotic materials, grippy and quick. And as an unexpected side-effect, that lightness makes them ideal for the latest hybrid or electric powertrains; the battery-fuelled Tesla Roadster was really a mildly re-engineered Lotus Elise, and in fact was largely built at Lotus’s plant in Hethel, Norfolk. As somebody who spent their entire life chasing new and innovative ideas in advanced engineering, Colin Chapman would surely have approved. If you’re interested in acquiring one of these superlative British-built drivers’ cars, talk to us. We are experts in financing superb cars such as these, and would be delighted to help you achieve your aim.